In this episode we interview Jeremy Hitchcock, Founder and CEO of Dyn. Jeremy shares insights on bootstrapping Dyn, forming the company structure, and growing Dyn to a highly successful company with some 170 employees serving over 13 million users and 65,000 domains. Dyn is an infrastructure as a service company that provides DNS and email services to many well-known Internet companies such as Twitter, Netflix, and Zappos, among others. 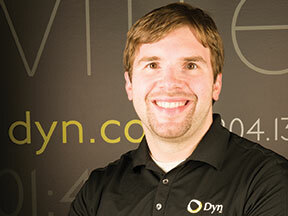 Learn more about Dyn at: www.dyn.com. Filed under Podcast. Tagged Dyn, interview.